SwiftPOS provides features for in house services, including reservation management, table mapping, floor planning and seat allocations. Reservation integrations include Resdiary and OpenTable. Advise customers and staff when orders are ready with Boomerang and Long Range Systems. The software is used by over 8700 business in six continents. 15m covers are booked monthly, using ResDiary applications, via venue websites, APIs, social media and 3rd party sites. 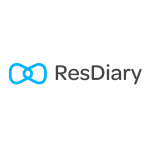 In addition, the consumer-facing platform, www.resdiary.com, receives 1m visits per month. 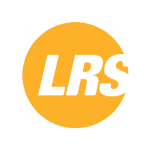 This allows ResDiary-powered venues increased online exposure and extra bookings as part of their flat-fee package. An Australian owned and operated business, Boomerang Paging Australia (a division of Brighton Technologies Group) specialises in innovative paging systems. 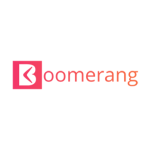 Boomerang is the industry leader in paging solutions and provides superior products and services, which help companies improve the customer experience. We love what can happen around the restaurant table. Since 1998, we’ve been committed to empowering that experience. From helping restaurants grow and run their businesses, to enabling diners to discover and book the perfect table every time they dine, our story is one of connection—among diners, restaurants, and their communities.